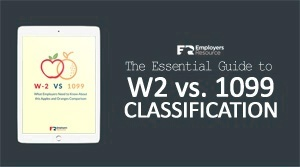 Here’s our plain English ACA 101 guide for Applicable Large Employers (ALEs). If there’s one thing to know, the reporting requirement should probably be your biggest concern right now. If there’s a second thing to remember, it’s to ensure your 2016 plans are in compliance with ACA to avoid penalties next year as transition relief ends for plan years beginning 1/1/2016. 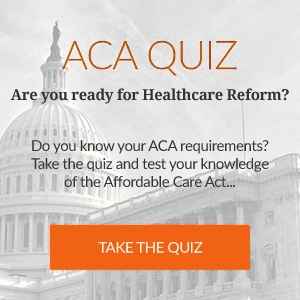 The ACA large employer reporting requirement is what makes the employer mandate possible. It’s the information necessary for the IRS to determine if your business is providing full-time workers with adequate, company-sponsored health insurance. The information you report will determine whether your business is subject to the shared responsibility penalties. The reporting system is similar to the current W-2 system where either a 1095-B or 1095-C must be prepared for each applicable employee, that form will be filed with the IRS using the 1094-B or 1094-C. These are the four main forms ALEs need to be aware of. Each link directs to the IRS about page for further information. Used to transmit Form 1095-B to the IRS. Used to transmit Form 1095-C to the IRS. Used to report information to the IRS and taxpayers about individuals who are covered by minimum essential coverage and are not liable for the individual shared responsibility payment. This is filed and furnished to employees of applicable large employers who were full-time for one or more months of the calendar year. ALEs must report this information for all twelve months of the year for each employee. Deadline for employers to provide employees with information on health coverage offered. Paper filing deadline for submitting all annual report forms to the IRS. Keep in mind the deadline for future years will be Feb. 28th. Electronic filing deadline for submitting all annual report forms to the IRS. 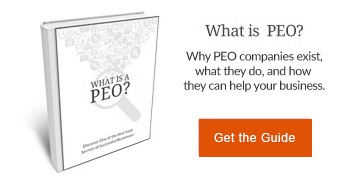 The employer mandate or the “pay or play” penalty is a provision requiring applicable large employers provide health insurance to employees or they will pay penalties. The employer provided health insurance must be affordable to the employees and must cover typical medical expenses, as defined by the IRS. If you are an ALE that does not offer affordable health coverage to full-time employees and dependents, OR if at least one full-time employee receives a premium tax credit for purchasing individual coverage, your business will be subject to the mandate penalty. The flowchart below is an extremely simplified example that helps businesses determine whether they will be subject to the employer mandate penalties or not.